Maine Laser Clinic & Spa is happy to promote LATISSE® solution (bimatoprost ophthalmic solution) a prescription treatment for hypotrichosis (absence of enough lashes or thinning lashes). 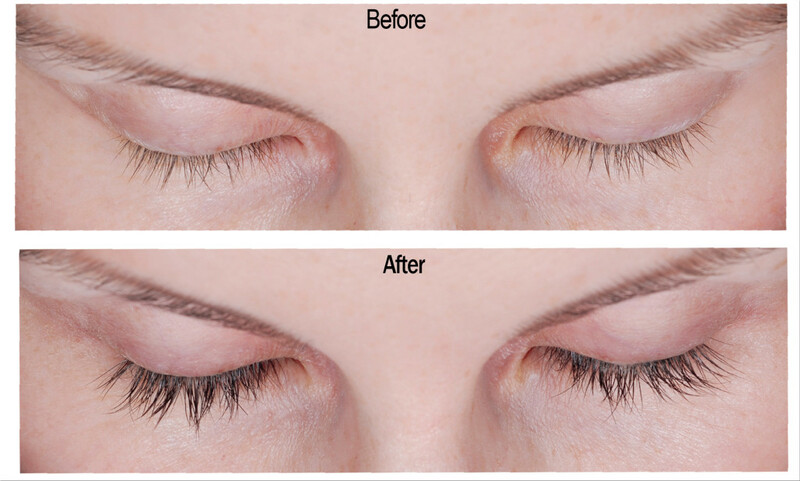 Application of Latisse solution increases eyelash growth, length, thickness, and darkness. This eyelash enhancement product is the only FDA approved solution to grow lashes fuller and longer for those who experience thinning lashes. This makes LATISSE different from other lash growth products – it has been researched for safety and efficacy and available only via prescription. Why is LATISSE a prescription for lash enhancements? The staff at Maine Laser Clinic & Spa want to assure the proper treatment and use of LATISSE. The initial consultation is free and provides an opportunity to determine if you are a candiadate for treatment. Latisse solution is a gradual process that once applied, is believed to influence the anagen phase of the eyelash hair cycle. Anagen is the growth phase of all hair. The exact dynamics of how Latisse works is not known but it is theorized that it increases the number of hair and duration of the anagen phase. Latisse is a gradual process. Longer lashes can be noticed 4 weeks after nightly application of LATISSE solution. At 8 weeks, clients display fuller and darker lashes and by week 16, the results can be full, dramatic, beautiful lashes. Can I stop using LATISSE after I notice results? If you discontinue the application of LATISSE, your eyelashes will slowly return to their previous appearance. How important is it to follow the application instructions? It is important to follow proper treatment steps and precautions to avoid possible side effects that may occur if applying LATISSE carelessly. We are happy to schedule a free consultation to review the application process as well as important safety information. LATISSE® solution is a once-a-day treatment you apply yourself each evening to the base of the upper eyelashes. DO NOT APPLY in your eye or to the lower lid, because excess hair growth outside the treatment area may occur. See the full instructions in How to Apply, and apply as instructed by your doctor. What if I forget to apply one night? Or a few nights? If you miss an application, or a few, don’t try to catch up. Just apply the LATISSE® treatment the next evening and stay on schedule. Could Latisse cause the color of my eyes to change? Increased brown iris pigmentation has occurred when the same formulation of bimatoprost ophthalmic solution was instilled directly into the eye to treat elevated intraocular pressure. Although iris pigmentation was not reported in clinical studies with LATISSE®, patients should be advised about the potential for increased brown iris pigmentation which is likely permanent. In other words, the formulation can change the eye color in a very small percentage of patients (1-2%) if it is put directly into the eye, but has not shown to change eye color if it is brushed on the roots of the eye lashes. The most common side effects after using LATISSE® solution are an itching sensation in the eyes and/or eye redness. This was reported in approximately 4% of patients. LATISSE® solution may cause other less common side effects which typically occur on the skin close to where LATISSE® is applied, or in the eyes. These include skin darkening, eye irritation, dryness of the eyes, and redness of the eyelids. If you develop a new ocular condition (e.g., trauma or infection), experience a sudden decrease in visual acuity, have ocular surgery, or develop any ocular reactions, particularly conjunctivitis and eyelid reactions, you should immediately seek your physician’s advice concerning the continued use of LATISSE® solution. Do I need to refill my Latisse prescription every month? How do I purchase Latisse at Maine Laser Clinic & Spa? To achieve the full effect of LATISSE® longer, fuller, darker lashes you will need to use the product daily for 16 weeks. After that point, you should talk to your doctor about ongoing use.